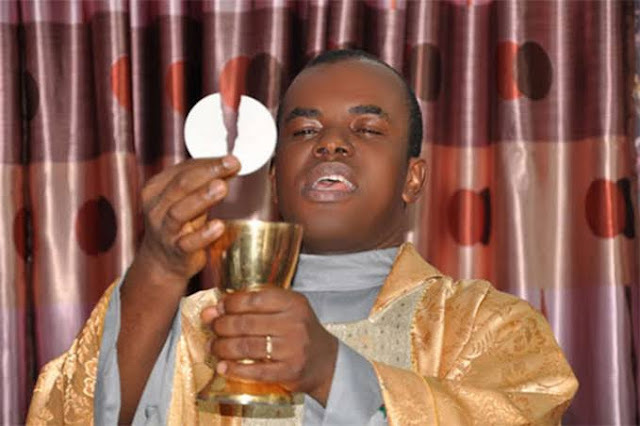 Intersociety is calling for convocation of the Third Vatican Council to address a myriad of challenges facing the Mother Church and other churches as well as immediate “exportation” of Rev Father Mbaka to Vatican for “pastoral, classroom study and sanctification leave”. The Third Vatican Council or Conference is, therefore, direly and urgently needed at The Holy See by the Mother Church to address a myriad of challenges facing the global Catholic Church and its worldwide population of 1.285b (2015). The Third Vatican Council is also necessary so as to tackle similar challenges facing the entire Christians worldwide with estimated population of 2.2b (2010). It is recalled that the last Vatican Council, known as the Second Vatican Council or Vatican II, addressed relations between the Catholic Church and the modern world. The council, through the Holy See, was formally opened under the pontificate of Pope John XXIII on 11 October 1962 and was closed under Pope Paul VI on the Solemnity of the Immaculate Conception on 8 December 1965. Attendance varied in later sessions from 2,100 to over 2,300. In addition, a varying number of periti (Latin: "experts") were available for theological consultation—a group that turned out to have a major influence as the council went forward. Seventeen Orthodox Churches and Protestant denominations; in addition to Catholic Lay Council sent observers. More than three dozen representatives of other Christian communities were present at the opening session, and the number grew to nearly 100 by the end of the 4th Council Sessions. According to Pope Benedict XVI, the most important and essential message of the council is "the Paschal Mystery as the center of what it is to be Christian and therefore of the Christian life, the Christian year and the Christian seasons". Other changes which followed the council included the widespread use of vernacular languages in the Mass instead of Latin, the subtle disuse of ornate clerical regalia, the revision of Eucharistic prayers, the abbreviation of the liturgical calendar, the ability to celebrate the Mass versus populum (with the officiant facing the congregation), as well as ad orientem (facing the "East" and the Crucifix), etc.